On March 27, 2017, HYPEREAL, a Shanghai-based VR hardware and software company, announced the launch of their first products: the Pano and Pano Pro as well as accompanying accessories. Hypereal is one of the only companies in mainland China offering a complete platform of hardware and content. Indeed, they are one of the few companies around the world offering a fully functioning VR headset. And they do so at a very reasonable price: their introductory model is now on pre-order for RMB 2,499 (US$ 363). 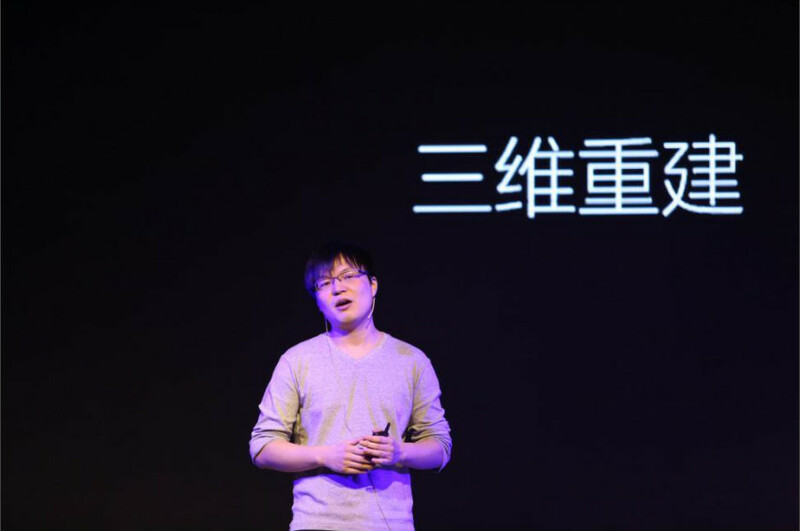 To get a better picture of the company, as well as the VR market in China, TechNode spoke with Huang Chaiming, CEO and co-founder of Hypereal. Why did you start the company? What made you want to get into VR? We started in 2015 with my two founders, myself, and our earliest employees. At the time, we hadn’t ever run our own company, but we were really interested in building something. So I told them, if we have a really good idea, we can get some investment and do it. At the time, we didn’t really understand the Chinese market; we just knew we wanted to make the coolest thing possible. What’s your market? Who are you trying to sell to? For now, we’re focusing on the China market mostly because of the market size. We’re taking a different approach, though: we’re not just selling the hardware. Users don’t know what to do with it! We’ve made an entire platform that shows people what VR can really do. For now, this is our first product, but we have more things in the pipeline that we’re developing. Do you have any plans to go outside China? Starting from the second half of this year, we may start selling outside China. For the moment, we’re just focusing on the domestic market. We’re doing this for a few different reasons, but most importantly because we understand the Chinese market as well as how to better service Chinese customers, especially after they bought the product. For overseas, we want to make sure that we’re completely ready. If a customer calls and we can’t solve the problem immediately, then I don’t want to sell it. Do you have plans to expand to other platforms, like Steam? For now, we’re sticking with our own platform. Steam has OpenVR, but its not open source… If we were to make a partnership agreement to share content across both platforms, then we could make sure the hardware and software are optimized for compatibility to ensure the best user experience. Also, for China, many people who might be interested in our product aren’t gamers and maybe haven’t heard of Steam. We provide a one-stop platform with the hardware and the content. Why did you choose VR and AR? Hypereal isn’t a research institution. We are a product company, so we want to make a product that we can build and sell quickly. If you’re like Microsoft with a lot of money, they can sink a lot of money into research and development. But we want to innovate in a market that can mature quickly for our content and hardware. VR and AR have similar technology, but the strengths are a bit different. VR can’t solve every problem. For the moment we are only focusing on VR; we’re a small company and want to focus on one business area. How do you see the current VR market in China? I think of it kind of like when you’re at school: some students do really well, some do pretty poorly. This isn’t necessarily a problem with the curriculum, though, it has more to do with the person’s character. Who does the business is very important. You can’t say that everyone is this way, so that’s just the way it is. What’s the biggest challenge you see for the AR/VR market? The biggest problem is adoption. VR is still very much for geeks, not really for the mass market. There are more and more people buying this product, but they are mostly developers and geeks. The challenge is convincing other users to start using the product. It’s like the internet: at first, consumers didn’t use it. I remember when I was in university, we used it mostly for research. So for VR, adoption is a big challenge and part of that is standardization as well. Almost everything in the mass market is there because it was standardized and basically similar to other products in the same category. So, the question for us is, how do we educate people on the uses of VR? No matter which technology you’re talking about, 2C is almost always towards the end of the maturity curve. At first, the technology is too expensive and not that useful for most people. As it matures, it gets cheaper and more accessible for common people.